Bedtime Stories: Spirited Away the graphic novels! I love Hayao Miyazaki. His incredible attention to detail, the beautiful stories of children bridging the gap between the realm of humans and the fairy world. 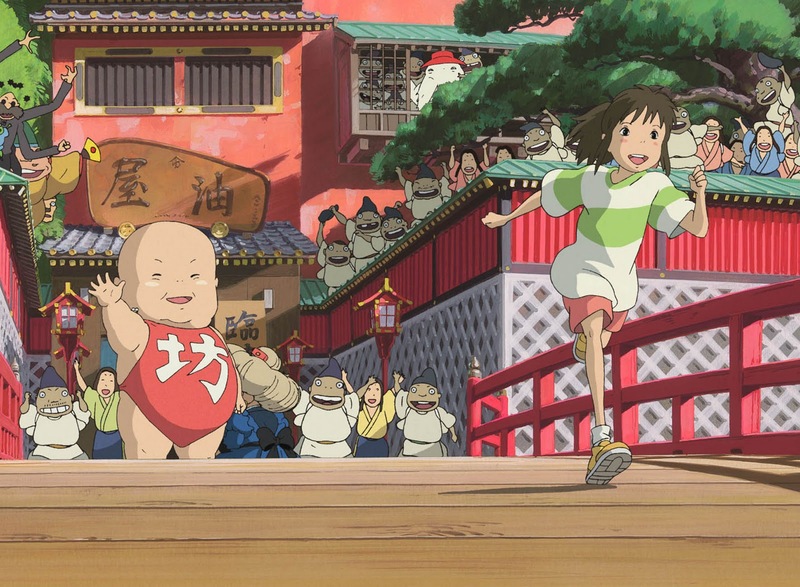 Spirited Away has become a classic Miyazaki film and I love it terribly. My son, although he thinks it’s too scary, is also fascinated by the story. Enter the world of Manga. I found, at my local library, a five-part series of the movie, in Manga form. Each one is about 100 pages long, but there is so little dialogue that we can easily read one in a half an hour. All the parts that scare him in the movie are much less scary in print. What’s also great about these books is they cover EVERY SINGLE THING from the movie, just cut up and put into a five-part series. Finally, Felix is learning a little bit about Japanese culture, as Manga books read back-to-front, right-to-left. I am considering buying these books, partly for me, partly for my son. They’re beautiful, engaging, and we can read a whole volume as a satisfying bedtime story. Posted in Bedtime Stories	| Tagged bedtime stories, Charles P. Rogers, Manga, Spirited Away	| Comments Off on Bedtime Stories: Spirited Away the graphic novels!